SAP is embracing new technologies that enable integration between its apps and existing client software and future client goals. SAP today at a 2018 Sapphire Now + ASUG Annual Conference announced several initiatives that collectively are intended to make advanced technologies such as conversational user interfaces, blockchain databases, and machine learning algorithms more accessible. 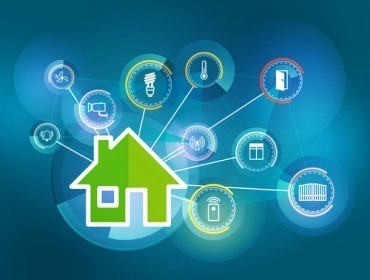 In addition, SAP to help foster integration between its software and applications developed by internal IT teams or third-party vendors also announced it will make 150 connectors available using an application programming interfaces (API) platform developed by Cloud Elements. SAP as part of that integration effort also announced that SAP Cloud Platform, the platform-as-a-service (PaaS) environment it makes available based on code developed by The Cloud Foundry Foundation, is now generally available on both Google Cloud Platform and Microsoft Azure. SAP Cloud Platform is already available on AWS. SAP also intends to make available a single-tenant version of SAP Cloud Platform available on IBM Cloud to provide organizations with a private cloud option. See also: Will GDPR spoil the blockchain party? Integration is core to the SAP effort to drive the development of an intelligent enterprise, says Hasso Plattner, co-founder and chairman of the supervisory board. But Plattner says SAP still has much work to do when it comes to application integration. In the meantime, SAP is committing to drive artificial intelligence (AI) into its applications to automate a broad range of business processes. SAP revealed today that SAP Leonardo Machine Learning capabilities are now embedded in applications across the SAP portfolio, including SAP S/4HANA Cloud, SAP C/4HANA, and SAP Ariba solutions. SAP also makes SAP Leonardo Machine Learning Foundation available as part of a fixed engagement for building custom applications using SAP Cloud Platform. SAP Leonardo Machine Learning Foundation now supports scikit-learn in addition to TensorFlow to build those applications. SAP envisions end users will leverage chat bots built using a conversational interface it has developed to not only query SAP applications but also automate processes and receive recommendations concerning how to optimize them. For example, SAP is developing machine learning algorithms that would recommend what products should be sold in combination with another when a product catalog involves thousands of SKUs. SAP says it has already identified 195 use cases for SAP Leonardo algorithms. SAP also revealed it will open machine learning research center in collaboration with the University of California at Irvine, Calif.
SAP also revealed that it is making available a blockchain as a service offering on SAP Cloud Platform and that it has started a global blockchain consortium with seven founding members, including Intel Corp., Hewlett Packard Enterprise Co. (HPE) and A3 by Airbus SE. SAP says 65 companies are now participating in an SAP blockchain co-innovation initiative involving technologies such as Hyperledger Fabric and MultiChain. In general, SAP is making the case that all custom code relating to SAP applications should be run on a separate platform. Many customers are several generations of applications behind because they customized on-premises instances of SAP applications. SAP contends most of those customizations are now redundant. But when customers do want to customize their SAP environments SAP is not allowing customers to directly interact with SAP applications hosted by SAP. Instead, it offers SAP Cloud Platform, which today SAP says is being used by 13,700 developers working at over 9,500 organizations. 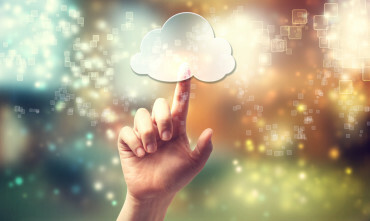 While it’s clear SAP Cloud Platform is core to the company’s overall intelligent enterprise strategy there’s some concern about the long-time viability of Cloud Foundry at a time when many developers are now opting to build applications using a microservices approach based on containers running on a lighter weight Kubernetes cluster. Applications built on Cloud Foundry can make use of a Kubernetes run-time. But the Cloud Foundry PaaS typically requires typically 40 virtual machines to deploy and most organizations may not be inclined to stand up a separate application development environment dedicated solely to SAP applications. 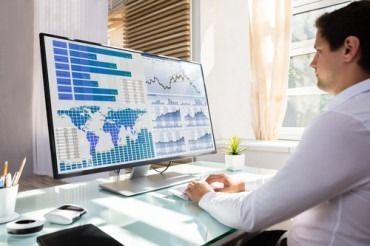 While it remains to be seen just how relevant SAP will be when it comes to custom application development, the one thing that is clear is organizations will one way or another continue to engage in that activity for years to come.